Because Death and Taxes! : The 3 P's: Financial, Retirement and Estate Planning: Which Comes First? The 3 P's: Financial, Retirement and Estate Planning: Which Comes First? Financial, Retirement and Estate Planning: Which Comes First? This question has been debated between the planners in each of these disciplines forever and the answer to the question is surprising to some. The answer is also simple and when you think about the question the answer is clear. 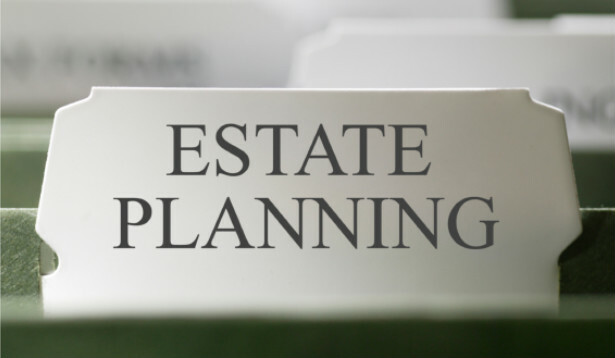 The oldest of the planning professions is estate planning. Started in feudal England, estate planning became a way of passing part of one's property to a first born son and later, a surviving spouse. Due to the low life expectancy then, there was no such thing as retirement or financial planning. If you weren't going to live beyond your 40's, then planning like we do today was irrelevant. Modern times have brought us many medical and scientific advances. We live today twice as long as when estate planning was the only planning one could do. Many people do not want to work their entire lives, so planning for retirement is important for them. Other folks want to learn about their finances, how that industry works and how to plan for their money. That's where financial planning comes in. Lastly, an entire industry was created after the industrial revolution, life insurance, a blend of all three disciplines. 1. Your estate plan protects against the worst risks first. The worst risk to yourself and family is an unplanned and untimely death. Only your estate plan protects against this risk. Only your estate plan can operate successfully without the passage of time, right from the moment you sign your documents. When you work with your wills and trusts lawyer, you make decisions as if you had died yesterday. If you were gone yesterday, what are your wishes for property; decision makers and all the other issues we have discussed in the articles below. Your estate plan, your will requires no time horizon to be operable, it is what you want right now! 2. Financial and retirement plans require time to work. When you save for retirement, college for children and start to plan your finances, all of those require time to operate. For example, you might have to save $X over Y years to be able to retire at a certain age or to have $X saved for college expenses. Retirement and financial planning are exactly the opposite of estate planning in that they are about planning for the distant future over time. The only discipline that crosses these lines is life insurance planning as it, in most cases does not require a time horizon. It is also generally considered an estate planning tool so it fits more into estate planning than the others. Your take away from from this is start your own planning with your estate planning, your wills, trusts and powers of attorney. Protect against the worst risks first and then add your financial and retirement plan to the mix AFTER your estate plan is completed. Please join our conversation and let me know your thoughts on this or any of our articles. As always, thank you for your interest. For those needing a life insurance plan, we can help structure one to fit their estate plan.